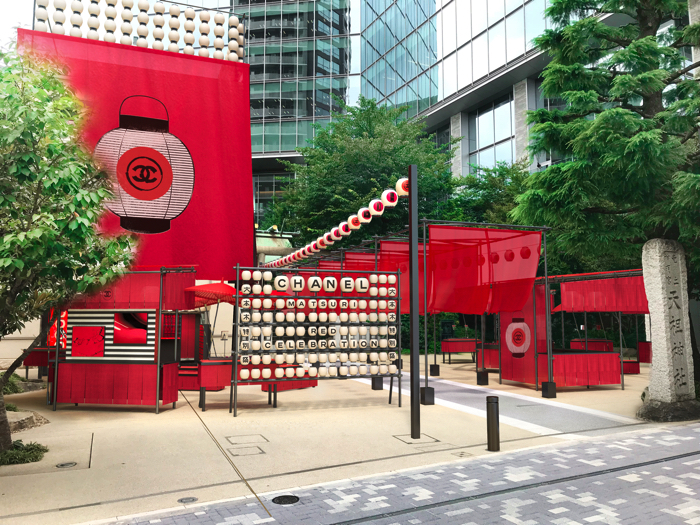 CHANEL is clashing with Japanese culture for a special event titled ‘CHANEL MATSURI’ that will take place in Tokyo, Kyoto and Itsukushima (Hiroshima). The Tokyo event began on September 28 and the Kyoto and Itsukushima events will start on October 31 and November 1 respectively. The locations the events are taking place in feature the iconic look of a Japanese festival, or matsuri, taking on the theme ‘Red Celebration.’ Guests can look forward to enjoying the world of CHANEL makeup together with a string of content laced with a variety of red nuances and textures. The “Touch Up Zone” is inspired by a Japanese yatai, a type of stall seen at festivals in Japan. Guests are free to try a range of makeup products including the Rouge Allure Liquid Powder and Rouge Allure Velvet Extrême which are on sale in Japan from October 5. 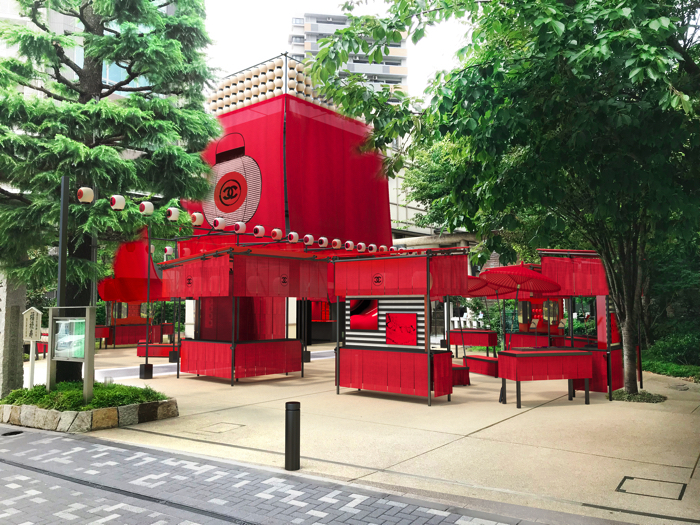 There will also be a range of events and games at the festival including “RED BALL” where people must scoop up super balls with a variety of tones and textures, “CHANEL KUJI” which will be a lottery-type game where red pieces of paper with numbers written on them are drawn, “SONBONBIKI” where people can receive a present depending in which red gradation thread they pick, and more. There will also be pre-sales of CHANEL’s newest Rouge Allure products which are set to be released in Japan on October 5. 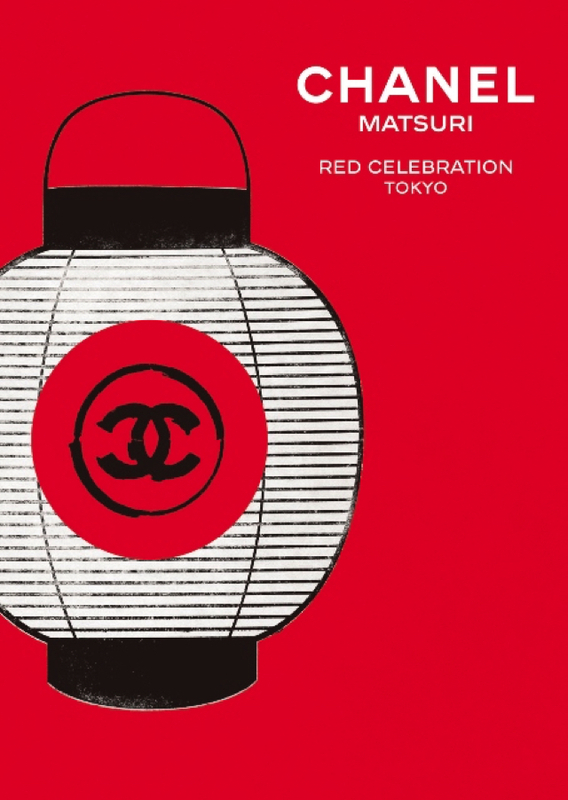 Enjoy a celebration of makeup and Japanese culture at CHANEL MATSURI.